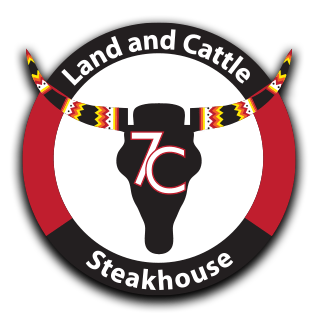 The 7C Land & Cattle Steakhouse is a fine dining establishment at Paradise Casino that features the finest of certified Angus beef steaks, fresh seafood & shellfish along with regional specialties. You’ll also find an extensive assortment of appetizers, salads, side dishes and desserts that compliment the entrées. The steakhouse has a spacious dining room with 67 seats, an 11 seat U shaped bar, and 20 seats on an outdoor patio (weather permitting). The atmosphere is upscale with casual elements. Solid wood table tops are nicely coordinated with comfortable leather seats and booths. Large chandeliers and crystal sconces are featured in the dining room. Dark wooden ceiling beams complement the warm colored walls and ceilings. The bar is appealing, with a beautiful metal bar top with hues of turquoise and copper. The bar back reaches floor to ceiling providing a wonderful, extensive liquor display highlighted with LED accent lighting. An extensive wine list, featuring the best of American and European wines by the glass and bottle, is exhibited in large wine bins. Regional and local beers are also featured. The service style is professional, yet has a casualness appropriate for a hometown crowd. 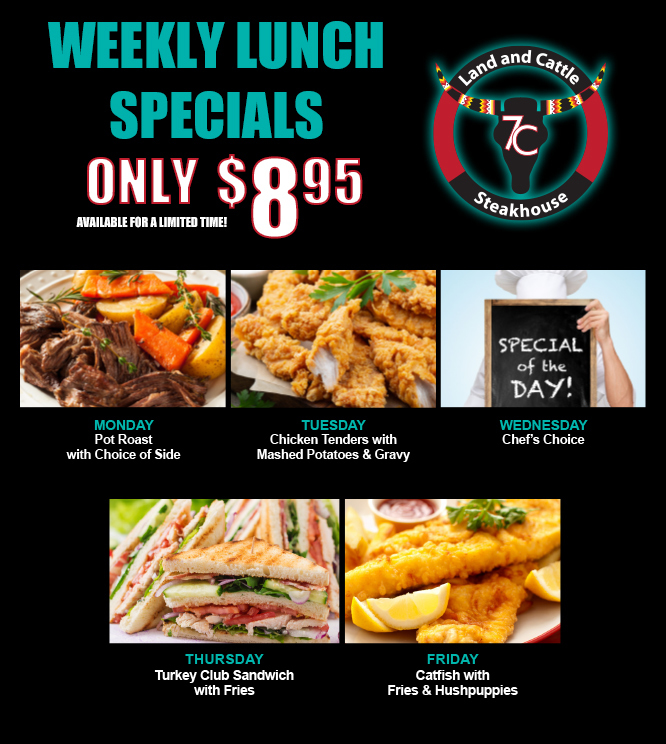 All entrées served with choice of baked potato, au gratin, mashed, steak fries or rice. All steaks are aged, certified angus.